In this article, we have given the CMOH Surajpur Recruitment 2018. Candidates can apply for the 86 Health Worker vacancies for the Chief Medical Officer of Health. The application form by the @ surajpur.gov.in has released recently. The interested applicants can check the Application Process, Eligibility Details, Selection Process from the below sections. Aspirants can find the link to apply for the CMOH Surajpur Recruitment 2018 at the end of this article. Below on this page, we have arranged the steps to apply for the CMOH Surajpur Health Worker Jobs 2018. From this, the individuals can get all the information about the CMOH Surajpur Recruitment 2018. CMOH Surajpur Recruitment 2018 Notification details are mentioned on this page. Applicants who satisfy with the eligibility terms can use this opportunity. Contenders who have minimum 22 years and maximum 40 years they can apply for this latest notice. Chief Medical Officer of Health will recruit the candidates for Health Worker by conducting Online Test and Interview process. 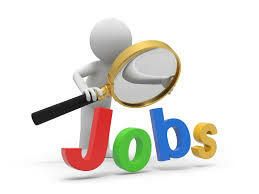 Many of the individuals are showing their interest to apply for the Government Jobs in current days. The aspirants will find the complete details through this post. We attached every information with a clear explanation. Without getting late fill the form before 7th September 2018. Exam Date will be announced later in its official website. After filling the form, all the candidates must prepare well for the online test. While applying for the CMOH Surajpur Health Worker Recruitment 2018 everyone have to check the below eligibility criteria. 12th Class / ANM / MPW from the recognized board. Minimum Age Limit is 22 years. To apply for the CMOH Surajpur Recruitment 2018 Notification, an individual should have the correct qualifications. And many of you might not know the details. Therefore, to provide the requirements mentioned by the Chief Medical Officer of Health Officials, here we are presenting this new post. Therefore, check the complete details before applying for the CMOH Surajpur Recruitment 2018. Now, an individual should first check about the educational Qualification. Well, as per the details in the CMOH Surajpur Recruitment 2018 Notification, an applicant has to finish the 12th Class / ANM / MPW from the recognized board. The Requirement of education will differ for every individual post. Therefore, try to check the notification, before applying for the CMOH Surajpur Openings 2018. In this post, we have specified the steps, through which you can apply for the Recruitment. After checking this CMOH Surajpur Recruitment 2018 details, all the aspirants must download the application form. We recommended all the job seekers if you are suitable for CMOH Surajpur Vacancies 2018 then only applied. If you are not suitable for this jobs, then don’t apply. The Chief Medical Officer of Health officials will reject the application forms which have submitted the form after the end date of the registration process. General candidates application fee is Rs. 500/-. OBC candidates application fee is Rs. 300/-. SC/ST/PWD candidates application fee is Rs. 200/-. The selection procedure contains the Online Test, Interview. Selected aspirants will get the salary of Rs.14,560/-. Registration Process Starting Date: Started. Registration Process Ending Date: 7th September 2018. Open the official website of Chief Medical Officer of Health, surajpur.gov.in. Now the homepage will be displayed on the screen. Search for the Recruitment tab in the organization site. Find the CMOH Surajpur Recruitment 2018 and click on it. Submit the registration form before the end date. Attach the photograph and necessary documents to the form. Follow our website Sarkari Naukri for more recruitment notifications.